Online video is here. Are you reading the latest social media reports? Video is being favored in algorithms from Facebook to YouTube and beyond. What this means for you as a current and/or potential online influencer is this: Getting comfortable in front of the camera and reaching your audience through video is crucial. Let’s face it: Not everyone is comfortable in front of a camera. Some folks downright dread the thought of talking to a cell phone and going “live” on Facebook or any other social media platform. 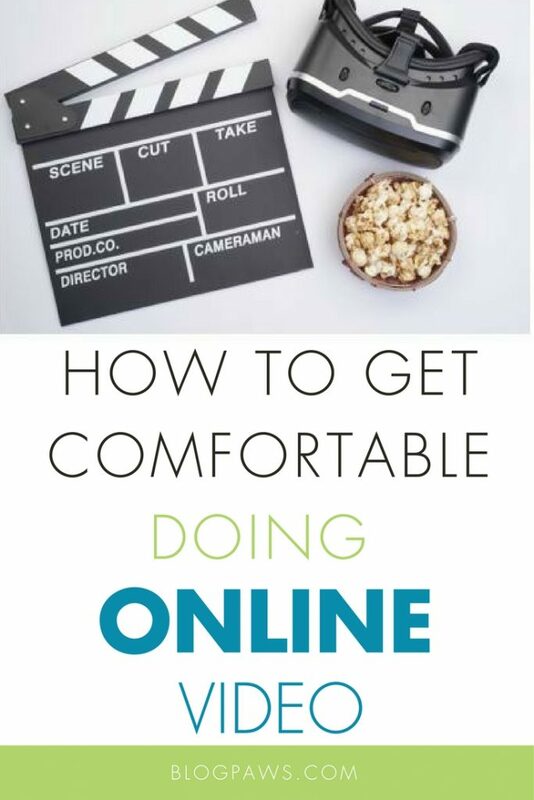 Step by step, this blog post will outline how to get comfortable doing online video, tricks of the trade, and the one mistake that even seasoned pros make (and you can avoid). Once you read through this article, be sure to start applying these tips in small, digestible steps so that by 2018, you are whizzing through online video like a pro. Have a conversation with a friend. If nothing else, this is one of the best pieces of advice I can offer you. Look at any camera and remind yourself that your very best friend is behind it. Let’s use a recent blog post about cat toys and why those toys are awesome as an example. If you were to call a friend and tell her why those cat toys are the coolest thing ever, what would you say? How would you talk to her? Would you be nervous, afraid, and feel like you might mess up? Of course not, and the reason is a comfort level. You feel comfortable telling your friend about cool cat toys because your friend is into you, she wants to hear more, and you have a relationship. If you apply that same principle to online video, success is yours. Speak to that one friend. Tell her a story. If you plan to include a pet, a product, or any other people or items in your video, have them ready. This includes notes and items you want to show onscreen. Recently, my dog faced a life-threatening illness. I felt very helpless during this time, as you can imagine. I knew that others would be feeling the same way, as I am familiar with my followers. I went live on a Facebook video to teach others what happened to me and to help them spot similar symptoms in their dog. The beauty of going LIVE on Facebook is this: You can end at any time, you don’t have to post the video once you are done if you are not happy with the results, and the video (if you like it) can get a lot of traction in replay. In fact, my teaching video is just about at 10,000 views as of this writing, and that’s only with a $10 spend to boost it. People like to share something that educates, makes them laugh, or touches the heartstrings. My wife held the phone so I could be on camera, and she told me to simply, “Tell her the story of what happened to our dog.” I thought about it before going live and that’s exactly what I did: tell a story. Here’s the end result. You will note that my dog decided he was “done” at a few spots in the video. I anticipated he might get bored, so I had a “stunt double” ready to go with a replica stuffed animal of my dog. You can simply have a stuffed animal of your pet in case or if your pet is not fond of sitting still for long. Personally, I am glad my dog’s personality shone through. Real moments happen in real life and the audience will connect with you on this aspect, too. Even the most seasoned pros can sound scripted. Avoid this pitfall and keep reading for tips to stop that behavior in its tracks. Get “It” Out of Your System: Do something that makes you relax and gets you into the groove at the same time. Do you like jogging? Dancing? Yelling loudly? Screaming into a pillow? Drawing? Spend some time doing that activity before you go live. Bullet Points: I sometimes keep a pile of index cards near me or ask my videographer to hold a card up with a topic starter. Continuing on that cat toy topic, the index cards might say: The pros of the toy, the cons of the toy, where you can buy the toys, price range, etc. Get the point? You want your transitions to be seamless from topic to topic. Take the pressure off with cards. Distractions Be Gone: I look at what is behind me. In the video above, you’ll see my white screen. My wife and I made sure the shot was tight since I didn’t plan to move around. If there are any fax machines, cell phones, office phones, or screaming kids around, before you start is a good time to put them all to rest. Get the Right Equipment: This means everything from lighting to sound. There is nothing more upsetting than reading comments after your live online video like “we can’t hear you” or “you are very dark” because something is off. Here are some pro tips on video technicals behind the scene. You truly can’t go wrong with natural lighting, which is what both of the above videos rely on. Film Practice Runs: I do this now and again. If I want to talk about something, I practice. I want to see what I look like on camera and where I need improvement. It also helps to have someone watch the play back whom you trust. Don’t worry about hurt feelings: You want honesty and to improve. Don’t Rock: If you’re standing while taping, be cognizant you are not rocking back and forth. If you are sitting during taping, lean a bit forward, shoulders down a smidge, and sit tall but confident. 1) Practice. Meaning record yourself speaking just a minute or two wtihout stopping. Ignore mistakes. Just record. Then watch the recordings and make a note to learn and do it again. The more used to seeing yourself and hearing yourself you get, the easier it is to be on camera. 2) When you aren’t recording live, act as though you are. Don’t stop and start over. Record all the way through. You can always do another take, but make each take a complete take. Otherwise, you are practicing messing up. 3) Be sure you look at the camera and not at yourself on a screen. It can actually help a bit to not be staring at yourself. Like anything in life, it takes practice to get where you want to be. Video integration is a necessary part of a social media and blog strategy. If you are growing your blog as a business, video should be one of the tools you call upon regularly. In what ways are you using video to improve your blog and/or social media influence? Do you feel comfortable on camera? 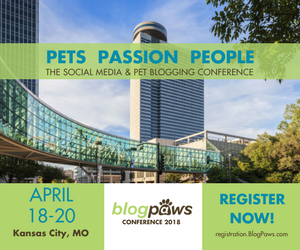 How can BlogPaws help? We respond to all comments below, so let us know!